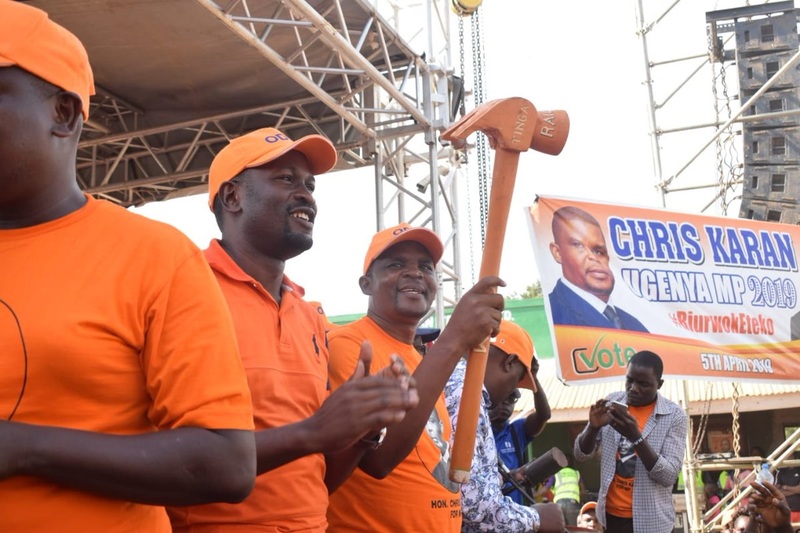 Wednesday March 27, 2019 - The Orange Democratic Movement (ODM) party has dismissed claims that its party leader, Raila Odinga, was scheming to replace Deputy President William Ruto. On Tuesday, Ruto’s allies led by Kiharu MP, Ndindi Nyoro, claimed that Raila was behind Senate Minority Leader, James Orengo's proposal to impeach the DP. The leaders alleged that the ODM leader was using Orengo so that he can be appointed as President Uhuru Kenyatta's principal assistant once Ruto is dethroned. “We all know that Orengo is Odinga’s spanner boy; and the main agenda of ODM is to push the DP out so that they can occupy the position through the backdoor,” Nyoro said. However, ODM through Secretary General, Edwin Sifuna, laughed off these claims saying its party leader was not interested in the DP's position since he was already a "President". "Raila was already sworn in as President. Cold heads," Sifuna wrote. Similar sentiments were expressed by ODM Chairman, John Mbadi, who slammed Ruto’s allies saying Raila was not eyeing a "small seat" (DP position). “The leaders making such claims are basically after Ruto’s money," Mbadi said. zombies, save yourselves from the mchawi vampire and all shall be well.